BWC Civil & Earthmoving is a Western Australian owned and operated business, founded by Brad Walton in early 2000, specialising in both commercial and civil construction services. 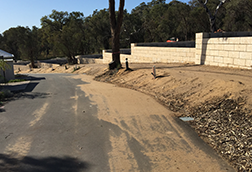 BWC Civil current projects include a residential subdivision in one of Perth’s southern suburbs which comprises the earthworks, drainage, roads construction and limestone retaining walls for the Stage under construction. We work closely with the client throughout the project to ensure that the project milestones are delivered on time. From clearing new subdivisions and preparation of building sites, to industrial bulk earthwork operations – our experienced and fully licensed staff bring the knowledge and equipment required for earthmoving projects of all sizes. We offer a full and complete service for commercial carpark and asphalt driveway construction projects, and pride ourselves on using only quality materials and a meticulous attention to detail to ensure long lasting satisfaction. We specialise in commercial and civil construction services, including demolition and earthmoving in and around Perth and Western Australia. Our services include carpark construction, drainage, roads, limestone retaining walls and more. Established in 2000, BWC Civil & Earthmoving are experienced and recognised for providing quality earthmoving and limestone retaining wall services for Perth commercial and residential projects. 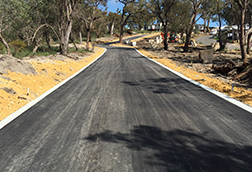 BWC is a Western Australian owned and operated business, that commenced operations servicing the building and construction industry, before expanding to civil contracting sector, undertaking numerous road stabilisation and construction contracts. 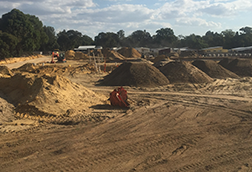 From there, BWC ventured in to subdivisional earthworks and stormwater drainage services on developments throughout W.A; and have since become experts in limestone retaining walls, with additional experience in carpark and horse arena construction. We are recognised as one of the best civil contractors Perth has to offer and this can be attributed to our ability for completing our jobs to the highest possible quality. We are perfectionist, who ensure that each and every project is completed using only the highest quality materials, and with the utmost professionalism. Our past jobs and reputation reflects this. There is a reason why we are a trusted name in earthmoving, demolition and civil construction services in the Perth area – we commit ourselves to completing all projects on time, and on point to the client’s specifications. We build strong relationships with our clients, and work with them to deliver on quality and efficient final products. With over 15 years experience as a company, we boast a team of professionals with many more years of specific industry experience under their belt. These heads operating our top-range machinery and handling only quality materials ensure we get your job done efficiently, but also with the highest attention to detail. Contact us today for all your earthmoving, demolition or commercial and civil construction services in and around Perth, from retaining walls to carparks, there’s no job too big or too small for BWC.